Great trends – rapid urbanization, climate change, resource scarcity – weigh ever heavier on our cities and built places. Once again, emerging technologies will displace and disrupt our industries. New business models and practices will reshape our professions. The built environment – which touches every person, nation and business – is on the cusp of change. We must help it change for the better. Four years ago, RICS saw our industry needed an inclusive platform to help address these challenges which loom over the built environment – one that would bring together all the players and actors. So we convened the World Built Environment Forum, a network and meeting place of leading industry thinkers with a common goal: to realise the enormous potential of the 21st century's people and places. The Forum allows us to look at the built environment through a holistic lens. Two weeks ago, the London Summit – the Forum’s third and best yet – brought together some of the sharpest minds to help us understand and navigate the trials which lie ahead. New conversations were had, connections made, and ideas blossomed. It was a true example of how bringing together a diverse range of thought and faces can help generate bold and innovative solutions. Trend-setting C-suite stars, visionary thinkers, global disruptors, heavyweight investors and city leaders came together under a single, ground breaking programme. Together, they told a new, positive story about the future of the built environment and how we can make it happen. ‘Disruption’ was on everyone’s lips. Over the past ten years small companies have dethroned giants and upturned industries. Digital platforms such as Spotify, Netflix, AirBnB, Google, Facebook and Amazon have demolished business models and redefined markets in their own image. Time and again, I heard, “are we next?” The built environment must get on board with change – but how? Tesla’s JB Straubel hit the first on the head: this industry needs a new leadership pace. His company didn’t wait for a green light and pioneered a new industry. It foretold the fall of fossil fuels and the rise of electric. Electric is now an unstoppable force. But even Tesla – the world’s most innovative company – worries its ideas are behind the curve. What does that say about us? Automation and new market entrants won’t knock, they will break the door down. So the built environment faces no small task: we must self-disrupt or be disrupted. Cities are planned for the moment. Los Angeles was designed for cars. Brighton for horse and cart. Venice for boats. Now, the future of urban transport is uncertain. Southern Californians might prefer autonomous vehicles – or even Hyperloop. Venetian’s, maybe drone taxis. Brighton might become a cycle-only city. Leaders need to be proactive rather than reactive – becoming one with their urban citizens. The built environment will ultimately survive and thrive if it can think like those that use it. But we are in danger of limiting ourselves to smart and not intelligent. 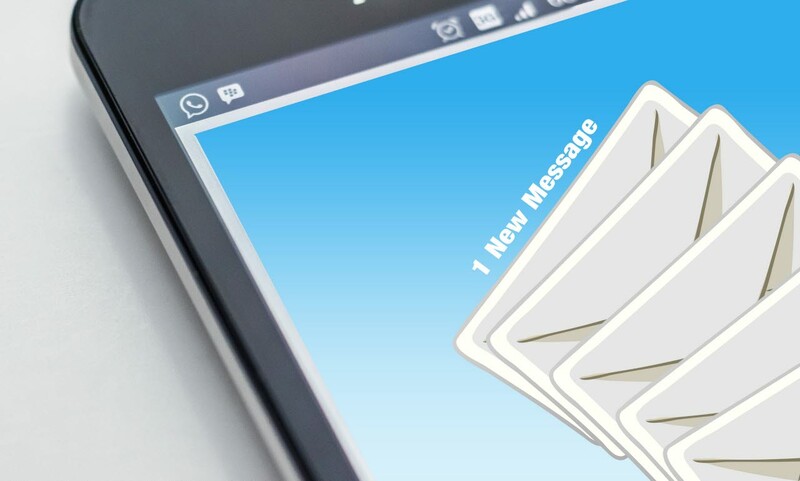 We need to become much more obsessed by the things that benefit people, their health, wellbeing and productivity and how technology can enable that. We need to put our customers’ experience first. While the ‘future of cities’ is in vogue, we should instead be focussing on the ‘future of people’. We should want to know how an intelligent city can learn from and adapt to those that walk its streets and work in its buildings. Smart tech is enabling our built environment to think, but our goal should be for it to understand. Remind yourself that learning doesn’t end at graduation. We’ll need professionals who are intellectually curious, adaptable and agile – never afraid to try new things – to create these intelligent places. Our talented young professionals are our future and we must invest in them. But a key challenge facing our industry is attracting and retaining a diverse talent pool. In a world where the next generation is likely to entertain one or more professions during their career, perhaps it is time for us to start reimagining our professions, and the role education needs to play in it. And finally, over and over, I heard that ethics, diversity and standards must underlie everything we do. These are the fundamentally human elements which we can never work too hard at getting right. 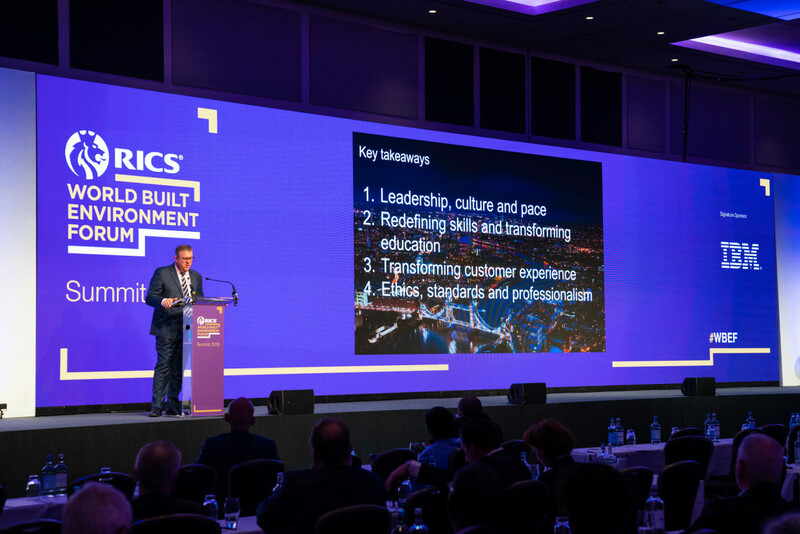 All these ideas and more are now being fed back into RICS – to create great content for the Forum, and help professionals in the built environment better prepare for the future. Your involvement will help us strengthen the network, allowing the Forum to build on every success and continue producing transformative ideas. As our headline speaker, JB Straubel put it, “everything is becoming networked in a system.” I hope you will join me in building on this success as we continue developing the Forum. The London Summit owes its success to the enthusiastic participation to the esteemed speakers, panellists, delegates, and the dedicated team behind the scenes who made it happen. I’d like to thank each and every one who came – you are the success. Next year, the summit travels to New York, where our focus will be on the changing nature of work and its profound impact on urbanisation. We will also pay special attention to how we can accelerate the flow of capital into green assets and seize the opportunities of a low carbon economy. But this is not goodbye until then – the Forum exists 365 days a year. Follow @RICSnews on Twitter and join the World Built Environment Forum LinkedIn Page, where our community will continue debating and sharing how we can shape a better built environment.